I love baseball caps. It’s true. 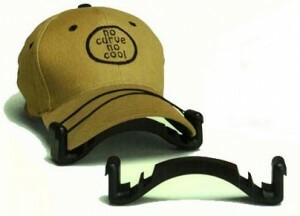 Guys (and gals) all over the world have made this form of hat the most popular and well recognized men’s cap around. 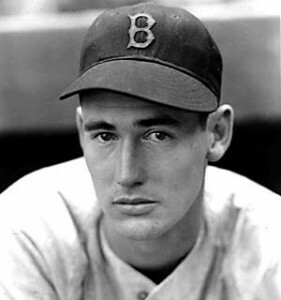 The baseball cap, particularly the fitted baseball cap or custom baseball cap, is as American as apple pie. What defines us better than the style of cap, the team logo or design it bears, and “how” we wear it? This last part, how we wear it, is often the defining piece. We spend a lot of money for our favorite team’s gear. Like any of our apparel choices, they help define our design style and more importantly, our personalities by just what type of cap we have our domes. Men don’t want to come off as too neat and tidy when going out in public wearing these. Most men want to be seen as not “caring too much” about our appearances. Care enough, but not to the point where we obsess. So, ask yourself a few questions before breaking in your favorite fitted cap. Understand your style first before forever altering the cap that defines you. What type of hat (sports or other) is best for your personality? Do you like to wear it retro and beat up looking? How beat up and old should it look? How much of a curve (if any) do you like on the bill of the cap? Should the custom baseball cap be altered? Most men who want to wear their manly passion on their heads want the retro look. They want the hat to look worn and tattered. 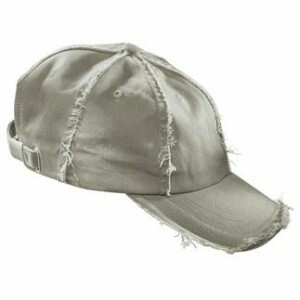 Matter of fact, many of the trendy stores started selling hats with beat up edges and torn fabric – on purpose as a style. Go to any college bar or pub and you will find several examples of this. To get that look with a cap you already own (or if you don’t want to spend the extra scratch to have them beat it up for you), here are some tips. Wear it a lot. You will eventually get this look if you just wear it a bunch and wash it regularly. Drag it. Tie the cap to a rope and take it on a bike ride or gentle car ride around your neighborhood. With the price of gas nowadays, though, you better think twice about the car choice. Use sandpaper. Take sandpaper around the edges of the cap and brim of the cap. This will cause your hat to fray over time, but with some elbow grease, you can get it there much faster. Rip it. In the event you want to get crazy, place a VERY small cut in the fabric on the brim. Then rip the fabric ever so slightly to get the desired length of crapiness. Place it in the sun. Letting the sun at it for a couple of days will fade the color and allow the hat to achieve a much more used look than that fresh out of the store feel. The flat bill style is coming back, but if you want the baseball cap and you to look all grown up, don’t give into the hype. Not to offend anyone, but that look seems pretty childish to me. HOWEVER, you buy it, you wear it any way you want. When curving, you have to make sure you don’t curl too much. A hat with too much curve makes it look like you are overcompensating for something – huge detriment to ones masculine self and manliness. Here are some tips to getting that perfect curve. Use a coffee mug. Place the bill of the hat in the mug overnight. Wake up the next morning and you’re set. Manual curve. This is the old fashioned way of breaking it in. Hold the cap upside down facing you. Use both hands and curl to specified curlness (this is not a word…) Then turn the hat over and roll back and forth until you have the right symmetrical curvitude (again, made-up word). Perfect Curve . This is an actual product some fella came up with. It is scientific in what it can do. It can actually specify the amount of curve you actually get. Check it out here . Buy a cap that is slightly too big on your head. If the cap is wool or cotton, we plan on shrinking it to fit just perfect. Get the cap wet. Use a spray bottle or dip the entire cap in warm water. Put the hat on your head immediately. If you don’t want to look REAL foolish, then you can let it dry a little before putting it on the dome. Wear the hat until it is completely dry. The hat has to be wool or cotton, though. And you want to make sure you don’t shrink it too much. If you feel it shrinking too much, stretch it out while it is drying. Remember, you have to work the fabric to get it to where you want it. You will be astonished to see your baseball cap fitting around your head in a manner the old-timers would be so proud (see Ty smiling over there). The cap will form around your noggin like no other hat in your stash. As I stated, I love baseball caps. I love the way a fitted baseball cap feels on my head, and like most men, it serves a special purpose. It’s a very masculine way to show our design style or show everyone who’s our favorite team. LINK: Want to see what they wore way back then? 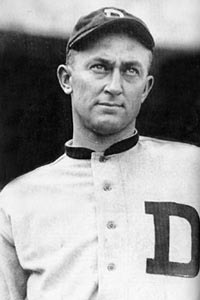 Visit the National Baseball Hall Of Fame’s page on the History of the Baseball Uniform to get some official lingo and styles. good stuff Kevin. Found you through SavvyDaddy, and will definitely bookmark your blog. REALLY good stuff. This guy has writing talent. Bookmarked + subscribed. The perfect curve dohickey and the wetting the hat technique are genius! I used to curve my hats with a baseball in the middle of the brim held in there with rubber bands. Mixed success. As classic and intriguing as the small of a woman’s back. If you are an “O” fan, that hat is the best. There isn’t anything that says it better! Great write up. I have a Yanks cotton baseball cap that fits me as if we were made for each other. This happened over years and years of wearing it. Because of your tips, I am now able to speed along the process with my other caps. I just got done reading your article and would like some advice on how to wear a fitted baseball cap. Now keep in mind that I have a big head and VERY, VERY, VERY bushy hair!!!! So I bought this Stanford University cap back in November and now that its summer I decide to put it on but its too tight. So what Im doing is pulling it up to a couple of inches below the hairline and putting the back a couple inches above my ears on the back of my head so the cap sticks up off my head. I thought that inseatd of getting a headache and wasting money from buying the cap and then not wearing it I should wear it like I have been. Anytways, I need your advice on how you think that would look and if I should wear it that way?? Keep in mind that the company wont let me return anything past 90 days old so that would be February and I dont want to waste money by not wearing it! If you could let me know what you think that would be great! have been visiting ur blog for 3 days. really love your posts. btw i will be doing report about this area. do you happen to know any blogs or forums that I might get more info? thanks in advance. Like the mug idea. I once tried the wetting technique and ended up with terrible crease on each side of the logo. Use that one with extreme caution, nothing worse than ruining a brand new $35 hat.